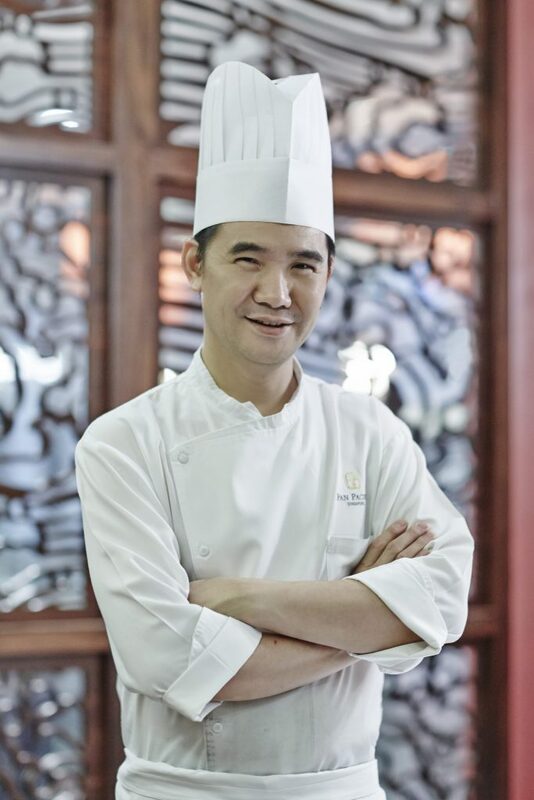 Helmed by New Executive Chef Ben Zeng, the menu of Hai Tien Lo (海天楼) have been given a makeover from March 2019, revisiting authentic Cantonese flavours. 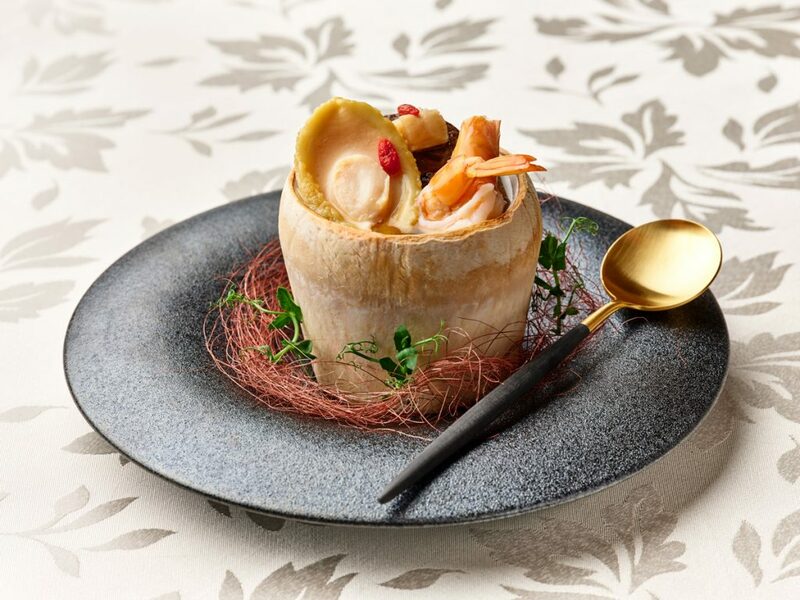 In Hai Tien Lo’s new menu, Executive Chef Ben gives the traditional double-boiled Cantonese chicken soup a unique twist with the new Double-boiled Chicken Soup with Abalone, Dried Scallops, Fresh Prawns and Chinese Mushrooms served in Young Coconut ( 椰皇干贝生虾花菇鲍 鱼炖鸡汤), for a nourishing delicacy enriched with the flavourful taste of premium seafood. 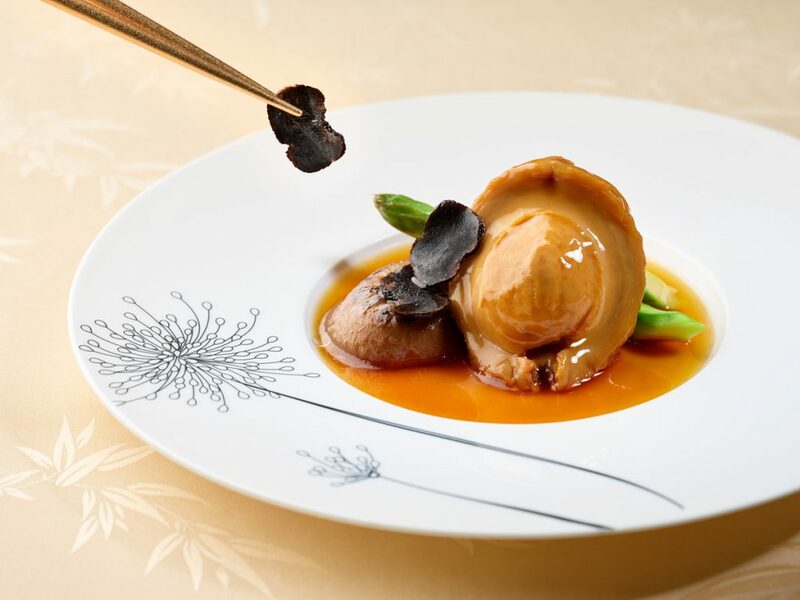 Other creative specialties include the indulgent Stir-fried Lobster with Truffle Sauce served in Whole Pumpkin (松露 酱金盅炒龙虾球) where the hearty lobster meat flavour combines harmoniously with the western-inspired truffle sauce. 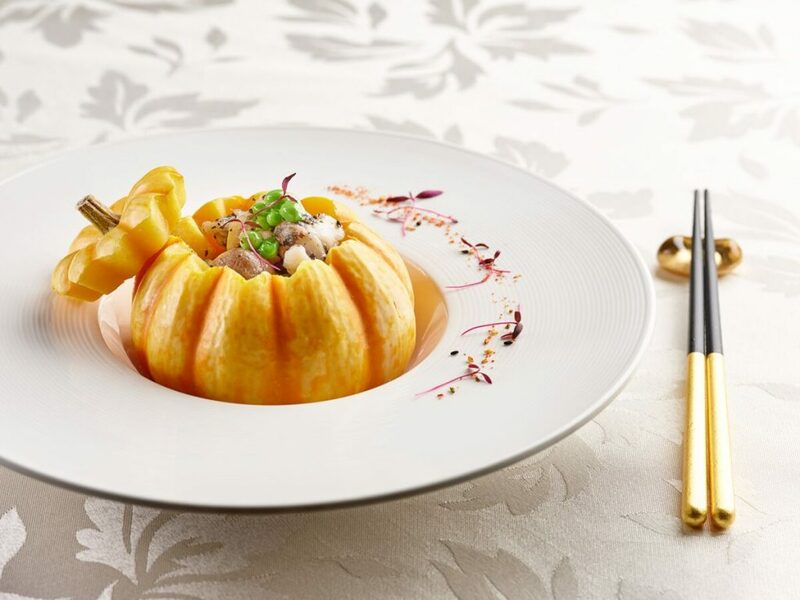 Guests can also opt for the aromatic Baked Sea Perch Fillet with Kumquat Chilli Sauce (金桔辣酱银鲈鱼), where Executive Chef Ben uses refreshing orange peel to add a pleasant citrus taste and balance out the fish flavour. 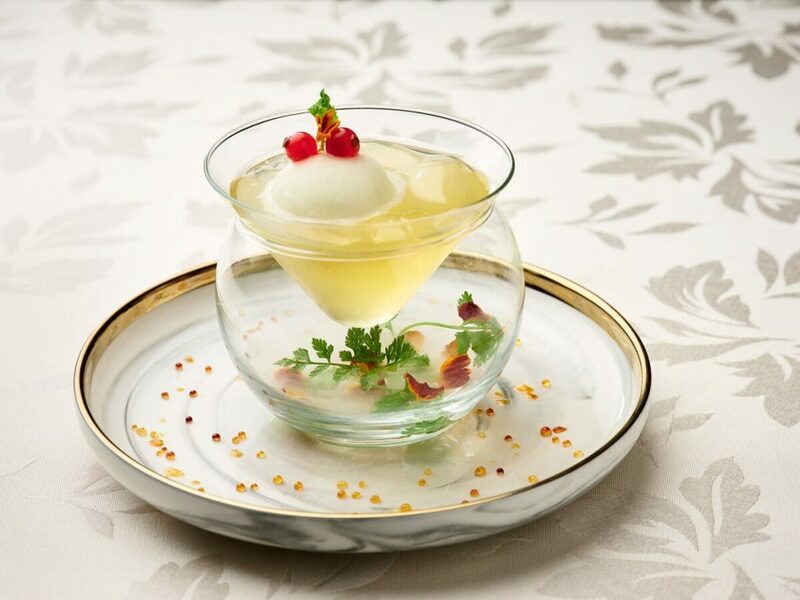 Diners can choose to partake in the newly added Chilled Lemongrass Jelly and Lime Sorbet (香茅冻青柠雪吧), a light fruity treat that zests up the palate with invigorating flavours of lemongrass, fresh lemon and lime. The refreshed menu is extended to Hai Tien Lo’s four set lunch menus and six set dinner menus, prices starting from $58++ and $88++ per diner respectively. Featuring an extensive repertoire of more than 50 delicate handmade dim sum and signature a la carte delicacies, Hai Tien Lo’s refreshed Weekday and Weekend dim sum buffet offers diners a gastronomic experience with their loved ones, friends or colleagues. 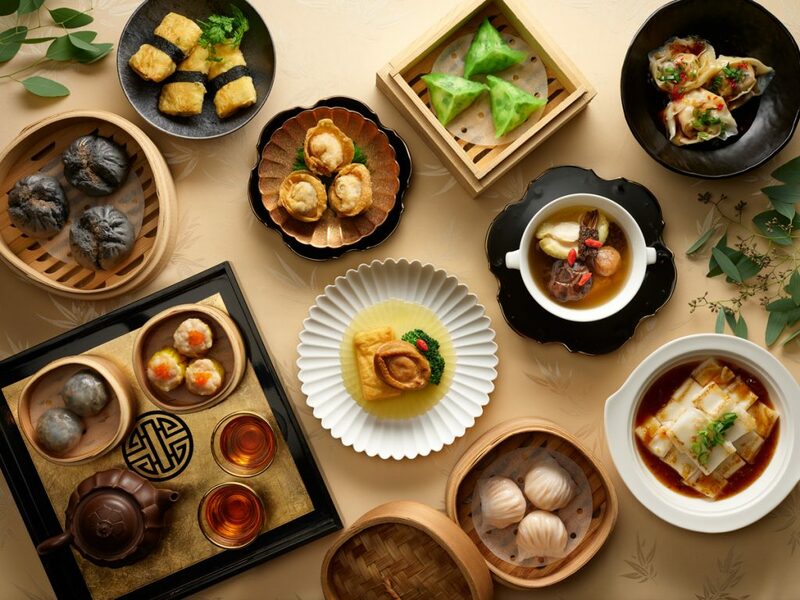 Dim sum lovers can look forward to savouring authentic Cantonese flavours with new offerings such as the Steamed Charcoal Barbecue Pork Bun with Black Truffles (松露金炭叉烧包 ) and Steamed Pork and Prawns Dumplings with Fish Roe (魚籽燒賣皇).